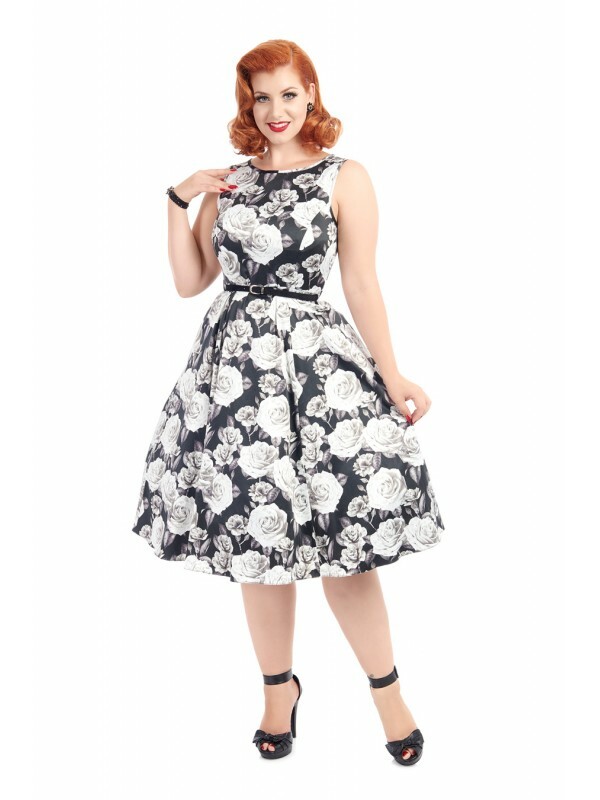 THE STUNNING "LADY VINTAGE" 1950S AUDREY HEPBURN STYLE DRESSES FEATURE FULL 50S STYLE FLARED SKIRTS – THE SKIRTS ARE SO BIG, WE DON’T THINK YOU WILL EVER FIND ANOTHER DRESS WITH A BIGGER SKIRT! 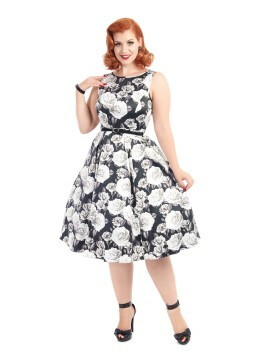 THE DRESS IS PHOTOGRAPHED USING A 1950S STYLE PETTICOAT, WHICH HELPS TO SHOW THE FULLNESS OF THE SKIRT BUT IS NOT INCLUDED. The dress has a high neck at the front and back which creates an extremely classy and elegant look. There is a concealed zip fastening at the back. 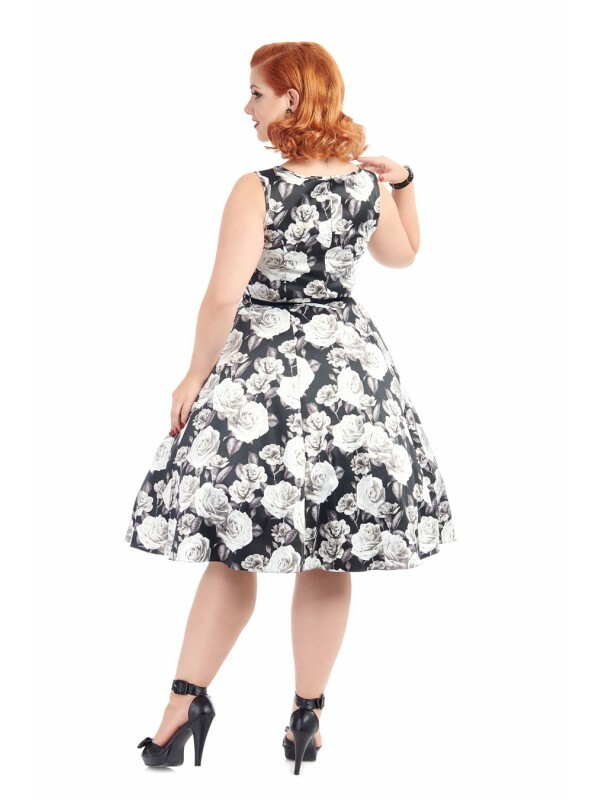 The dresses are true 1950s length, starting from 43 inches from shoulder to hem in a Size 8. Only the best quality materials have been used, and this Cotton Sateen has excellent stretch. PLEASE NOTE: Due to the stretch in the material - if you are between sizes, we do recommend to choose the size down.